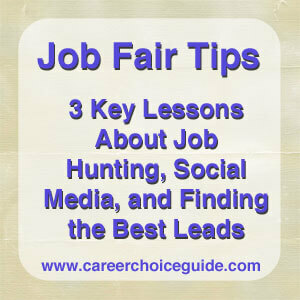 Three key job fair tips and lessons learned from an extremely competitive job fair. An incredibly well-attended job fair was recently held near me, and it struck me as a great opportunity to share some job fair tips. Last week a large store with a reputation for paying well and offering good benefits opened up about an hour up the highway from me. The company was hiring about 100 people in a city that has been hit hard with job losses. The company held a 2-day job fair to fill the positions. Competition for those 100 jobs was fierce, and a lot of people were disappointed. People started lining up hours before the job fair began, and a lot of people stood out in the rain for hours only to be turned away because there were just too many people in line to interview. It's an unfortunate situation, but as I read people's reactions in the newspaper and on Facebook, I could see this event can teach a lot about job searching. After the job fair I mentioned above, people who were understandably frustrated with the process and frightened about their prospects overall when they saw so many people competing for a few jobs, chose to vent their frustrations on the company's unofficial Facebook page. It's so tempting to vent on Facebook when you've had a terrible day. I've been guilty of it myself and have had to go back and delete posts I've written in the midst of frustration. In less than a day, there were over 100 comments on the company's unofficial Facebook page, and about 95% of them were negative about the employer. My first thought, as I read through those comments, was, I bet the hiring managers at the company have been on that Facebook page, and anyone who has badmouthed the company will not be hired. It is perfectly normal to become frustrated or frightened when you are job hunting. Unfortunately, some aspects of job searching can be demoralizing, even if that was not what the employer intended. However, no matter how frustrated you feel during any part of your job search, you must avoid badmouthing employers on Facebook or other social media networks. Employers use social media to exclude people from job offers, and one negative comment is all it takes to lose out on a great opportunity. People were shocked and dismayed by the number of job seekers who were competing for just a few positions. The competition was obvious because they were all in line at the job fair. However, that kind of response is common any time a good employer advertises a job, and particularly a job that requires skills that a lot of people have. You just don't see it because there usually isn't a job fair, so you don't see the pile of resumes that land on the employer's desk. They are harder to find, but once you find them, they are easier to get. If the people who spent hours waiting in line at a job fair, where there was maybe one job for every 10-20 people in line, had spent the same hours networking and searching for unadvertised jobs, many of them would be much closer to being employed. It takes time, and you often have to break out of your comfort zone to find unadvertised jobs, but once you find these hidden opportunities, the odds of landing the job are much more in your favour. If many people have the skills that you offer an employer, you're going to have to compete with all of those people for the best jobs. On the other hand, if you make a point of developing skills that are less common but valued by employers in your field, you'll be well ahead of your competition. This tactic can require an extra investment of time and perhaps money for training (but not always - there are free ways to develop your skills, like volunteer work), and you'll need to do some research to determine what skills employers struggle to find in your industry. However, if you can offer something valuable that others cannot, you'll be far more employable in your field of work. Several people felt that it wasn't worthwhile to stand out in the rain and cold for hours waiting to get into the job fair when it was also possible to just drop off a resume in a drop box. If you are really serious about pursuing an advertised job where the company will be holding a job fair, it is better to go to the job fair, where you can meet the employer in person, than to just drop your resume in a drop off box. Whenever you have an opportunity to meet a potential employer, you should take it and be prepared to make a great impression whether you're attending a job fair or dropping your resume off in person to the employer's place of business. If the employer only sees your resume, you are nothing more than a pice of paper to him or her. When you meet the employer in person, you have the opportunity to connect with him or her on a personal level, possibly elaborate on a few key points in your resume, and show the employer how your professionalism and personality make you a great fit for the job. No matter how stellar it might be, your resume really can't compete on the same level with those who meet the employer in person. I won't deny that attending a job fair can be stressful in a lot of ways, but if you really want to work for that company, your best bet is to go to the job fair, don't just submit a resume. Arrive early, particularly if there is a lot of buzz about the jobs. Clear your entire day, and ensure you have arranged for child care if necessary. It can be hard to predict how long you'll wait to be interviewed at an event like this. 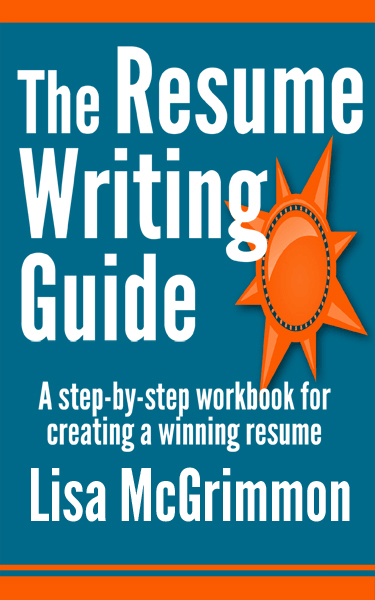 Be prepared with a copy of your resume and a targeted cover letter. Dress to make a great impression, but also be aware of comfort because there's a good chance you'll be standing for quite a while. And practice answering common interview questions before the event. Don't be disheartened by an extremely busy and competitive job fair. There are many more effective ways to find good job leads. If you do find the day to be stressful, avoid bad mouthing the employer, especially in public and on social media sites. You can always vent a bit in the privacy of your own home with a trusted confidant, but try not to get too mired in frustration. It won't move you forward in your job search, and it can really hold you back. Instead, focus your energy on finding great leads where there is less competition and possibly developing your skills, so you can offer employers something valuable that your competition cannot offer.